Hi guys! Today, I want to share one of my favorite polishes with all of you! Recently Raph from Digital Nails released a Scientist Puns collection. 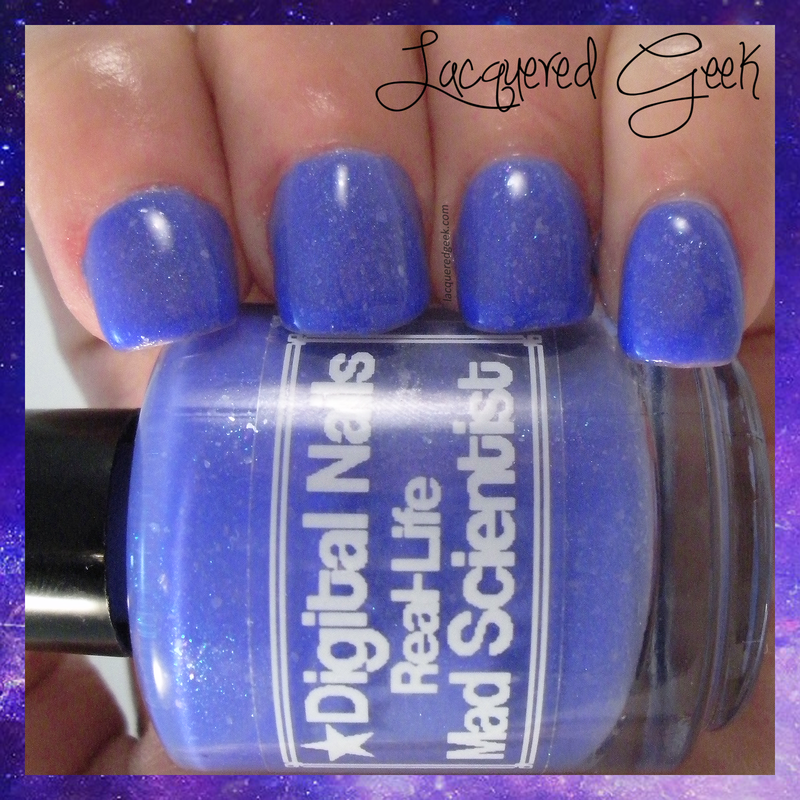 One of the polishes from this collection is Real-Life Mad Scientist, inspired by Nikola Tesla. 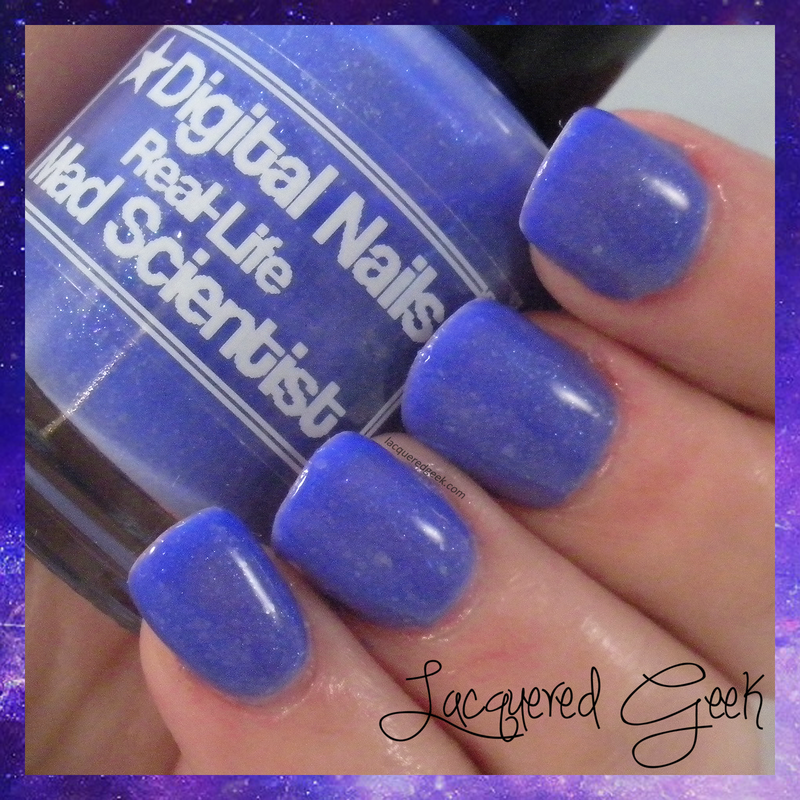 Real-Life Mad Scientist is one complicated little polish! First of all, it's a thermal! When it's cold, it's cobalt blue, and when it's warm, it's an icy blue that's almost white. Sorry for the water spots! I have cold hands, and the only way that I could photograph the polish in its warm state was after running my hands under warm water. But by the time I got back to my photography area, the polish had darkened again! So I had to take the photos as soon as I took them from under the water. I should have done the same thing with the cold water to get it to its full cold color! It does get a bit darker than shown in these photos. The polish also is chocked full of flakes! The flakes add another layer of complexity to this gorgeous polish. I also noticed a subtle green shimmer that was impossible to catch in photos! The formula on Real-Life Mad Scientist was wonderful, truly flawless perfection. I used 2 coats in these photos, topped with a top coat. 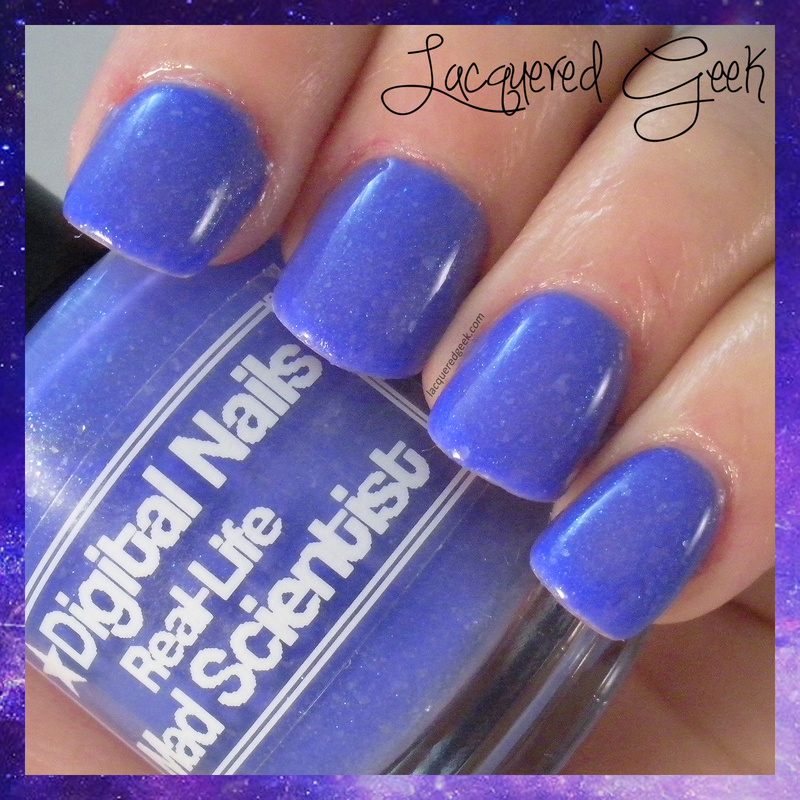 It doesn't look like Real-Life Mad Scientist is currently available from the Digital Nails Etsy shop but you can like the Facebook page and get updates on restocks and new collections! Don't forget to go check out and enter the giveaway that I've currently got running! That's a lot of work for one tiny little polish! Sure is pretty! This is absolutely ridiculous!! 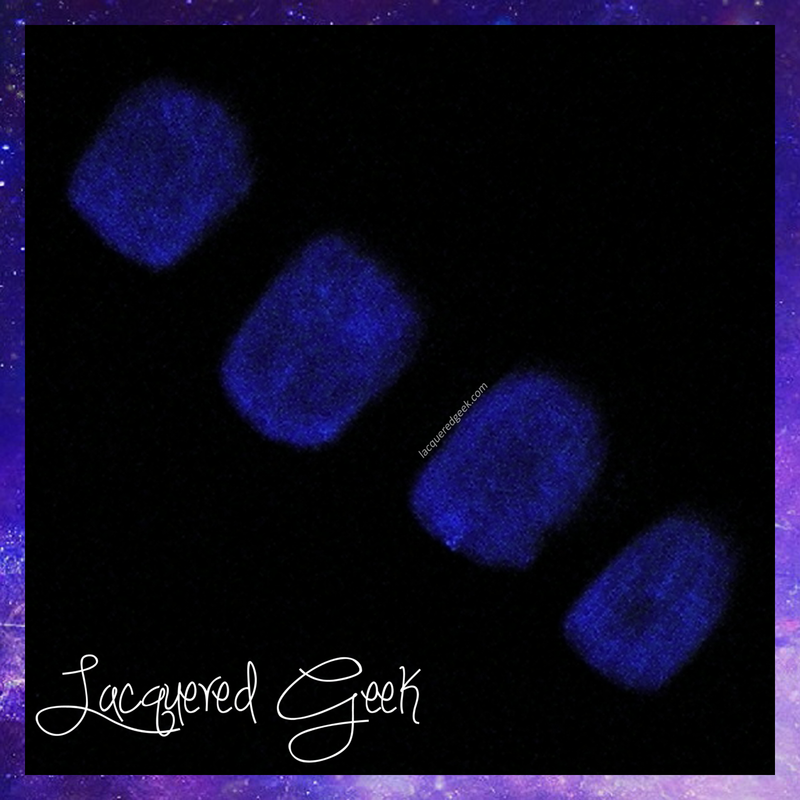 Glows in the dark, thermal, and beautiful color!?! Where has this been all of my life! !